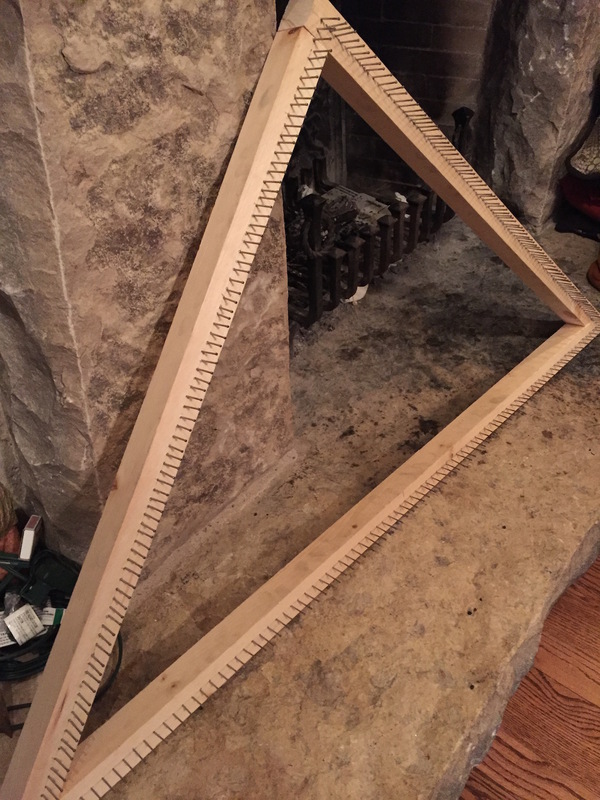 Last weekend, I was visiting a friend in Orangeville and her suggestion for a weekend activity was for us to each build a triangular loom or a tri-loom. I’d been wanting to make one since April, where I saw a shawl at an alpaca show made on a tri-loom. It was gorgeous and the folks at the booth said it had been quite easy to make once the loom was set up. Anyway….so when my friend suggested making looms, I was completely on board and oh, so excited! NOTE: We aren’t carpenters, so our process isn’t exact by any means 😉 We wanted to have fun and make looms so we measured some things and other times just went with our gut. For those of you who, like us, would love to have a pretty-much triangular-shaped frame with a bunch of nails in it to try a bit of inexact weaving, this is for you!